Neutral nails are always a winner for that chic and understated everyday look. Even though springtime is usually known for the pastels and slightly brighter shades, I just can't resist the taupes, especially when we're still having winter weather! Only Fingers And Toes are a London-based nail lacquer brand I only heard about recently, but they've already given me a great first impression. This greyish beige shade called Krypton* is from their elements range (inspired by the elements on the periodic table) and both the science and the Superman geek in me loves the name! Attention to detail is clearly important to this brand, packaging their nail lacquers in stylish boxes to give an instant feel of luxury. The 5-free formula gets a thumbs up from me as it applies nicely with no streaks and it's fast drying too. This particular shade looks darker on the nails than it does in the bottle as it takes 2-3 coats to be fully opaque. Without a topcoat, I notice some minor signs of wear after about three days, but with a topcoat the lasting power is much more impressive with no chips for the best part of a week. Priced at £16.00 to reflect the quality, it's definitely a high-end nail product. I think an individually boxed nail lacquer would make such a nice gift! I know I'll be looking forward to treating myself to more shades from the range! 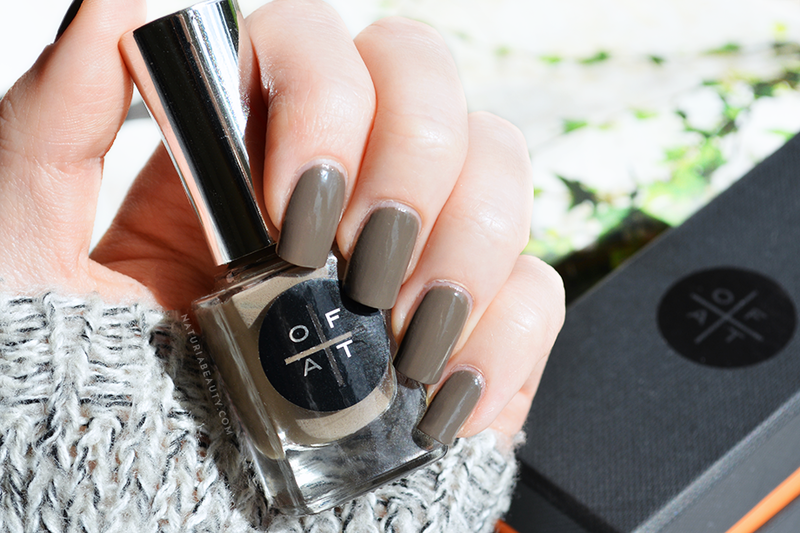 You can find O.F.A.T exclusively online at onlyfingersandtoes.com and at Harvey Nichols. What do you think of Krypton? Have you tried Only Fingers + Toes before? I've never tried this brand! But, after taking a look at their website, Maharani, Nitrogen, and Osaka have caught my eye. I also think Shanghai would be pretty for spring. Its lovely nail polish look like wonderful color i apply this color very nice and attract this color very good product!. safety management course in chennai|Industrial safety course in chennai| fire and safety course training chennai|Iosh ms course training in chennai|nebosh courses in Tamil nadu keep posting.